Do something different with your girlfriends to mark the special occasion, get them outside and invigorated by paddleboarding with us. Stand up paddleboarding is such a fun social sport, re connecting with nature and enjoy being on the water. Arranging your best friend's hen do is a big ask. But don’t worry Psyched Paddleboarding can help arranging it for you and the rest of the hen's to ensure it is a big hit for the bride to be. There is no better way to spend quality time with your best friends than Stand Up Paddleboarding into the wilderness. 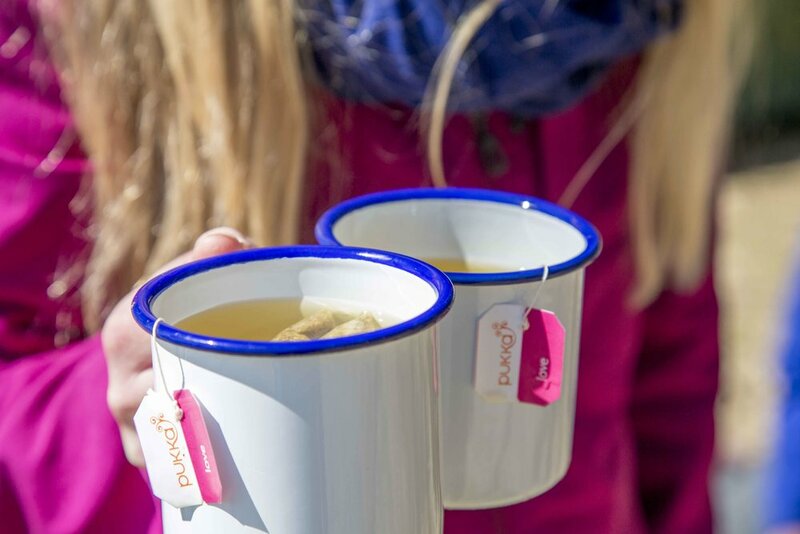 We are delighted to be voted as the Top 5 Active Hen Party Activities by Henbox. 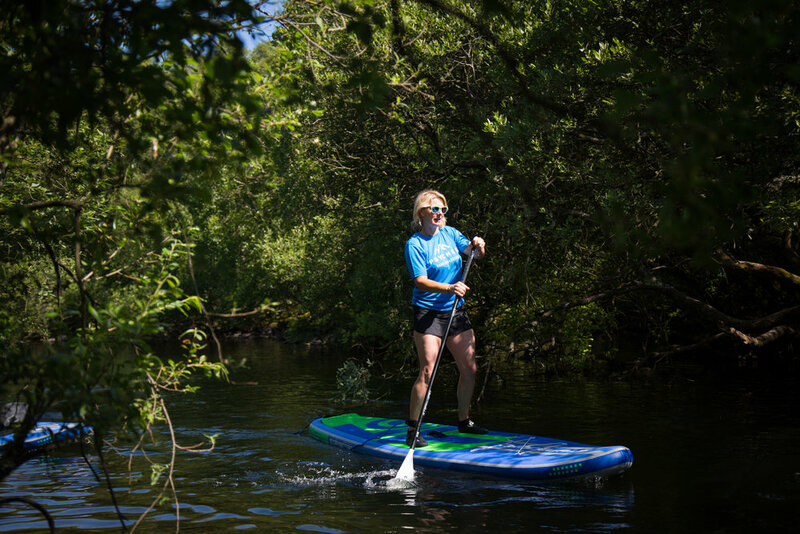 As part of the Hen SUP Activity package Psyched Paddleboarding provide a bottle of bubbly and scrumptious cake. 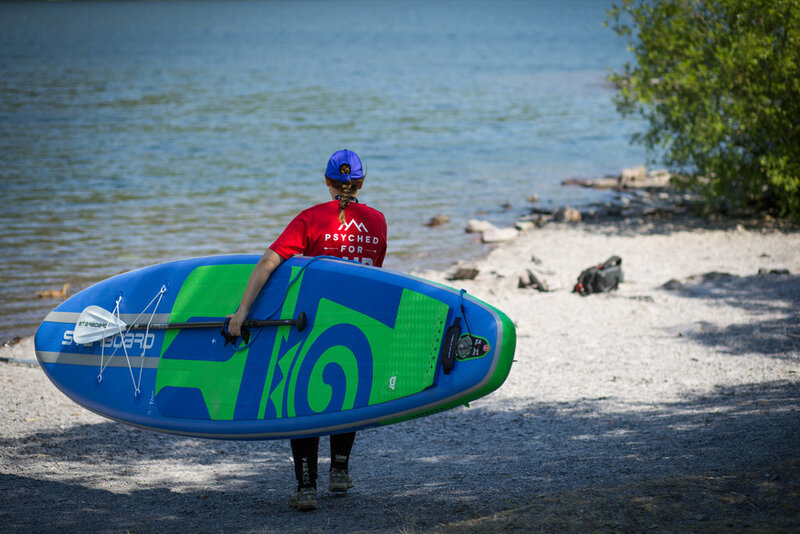 Stand up paddleboarding, SUP is such a fun and social activity. Join us for a 2hr session, learning the basics. We will get you standing before you know it! All instruction and kit is of high quality. Plus the added bonus of tea and cake for afterwards. We can also arrange a picnic for afterwards at a lovely wilderness lake. Join us on a mini adventure on paddleboard. This is an exciting paddleboard guided mini safari lead by Sian and her team. We run SUP touring along the spectacular coastline of Anglesey and in Snowdonia. The half day will be spent journeying to a stunning location. Enjoy the atmosphere, the change in environment, re connect with nature, enjoy the solitude and time out from the hustle and bustle. This is a true SUP adventure!